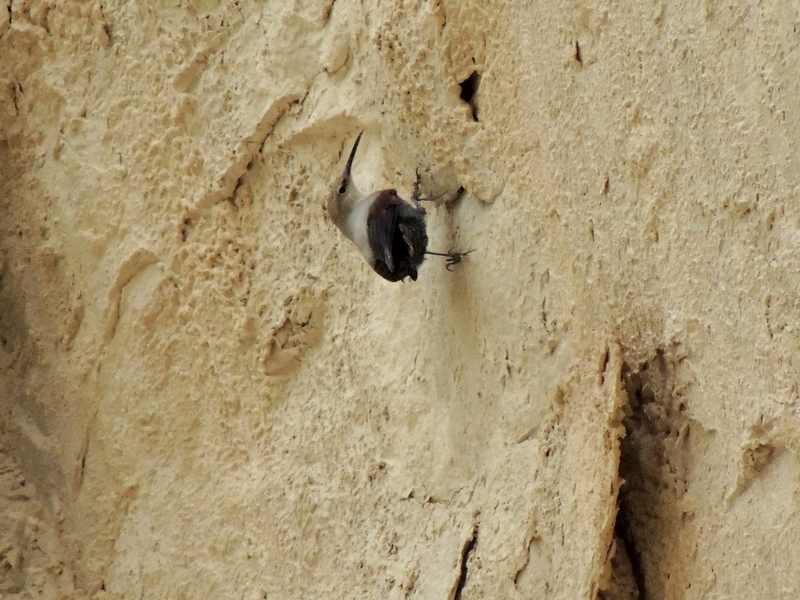 Categories: Birding, Cyprus Birding Tours Trip Reports | Tags: Cyprus birdwatching, Wallcreeper | Permalink. 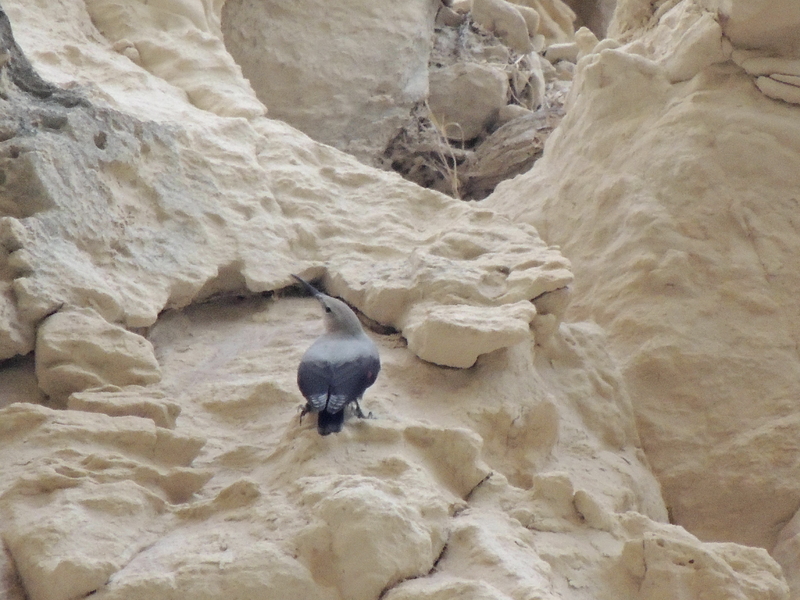 On meeting Martin in Paphos and mentioning the fact that two Wallcreeper had been seen the day before in the Avgas Gorge we abandoned our day’s schedule and headed there. Three Chukar on a rock caught our attention on the way into the gorge – a new species for Martin, the first of five during the day. Sardinian Warbler, European Robin, Chiffchaff, Greenfinch, Song Thrush, Cetti’s Warbler, Stonechat and a large flock of Western Jackdaw didn’t detain us for long and we headed to the area where the Wallcreeper had been seen the day before. We located the site of yesterday’s sighting and waited. No joy for over an hour so I headed upstream to see if one was there. Again no joy – until we decided to leave. As if on cue one flew in and proceeded to fly all over the cliff face opposite us, feeding as it stopped. We had great views and Martin was able to take some photos until it flew upstream. We followed it and now it was even closer to us if very flighty – what a great bird. The showy Grey Wagtail that was also present was almost ignored. After thirty minutes the bird flew off and we decided to rescue some of our previous plans and headed for Paphos Sewage Works. A late juvenile Red-backed Shrike was perched on a roadside bush as we approached. Spur-winged Lapwing was the target but first we checked through the birds feeding in the alfalfa fields and using a large puddle for bathing – White Wagtail, a few late Yellow Wagtail, Meadow, Water and Red-throated Pipit were all seen as were small group of Spanish Sparrow. Zitting Cisticola, Sardinian Warbler and Chiffchaff were in the road side vegetation and Eurasian Skylark flew over. As we walked along the road we found a Bluethroat drying its feathers in the sun. It completely ignored us and sat there letting Martin take plenty of photos. Our attention was distracted by some noisy Hooded Crows who were mobbing a Eurasian Sparrowhawk. A Common Snipe sat motionless on the field’s edge. The Spur-winged Lapwing were inside the Sewage Plant area but could still be photographed through the fence. Several Linnet and a couple of Serin together with two female Black Redstart, six Cattle Egret and plenty of Stonechat completed the species seen there. We made a quick visit to the Asprokremmos Dam to try and find Cyprus Warbler and a male and female obliged us in the scrub behind the dam itself. We also saw a Little Owl in the area. We headed off for Anarita Park as the clouds closed in and the thunder rumbled in the distance. We were lucky that it didn’t rain hard there and the light rain didn’t hinder our views of a lovely male Finsch’s Wheatear on the rocks there. A flock of eleven Woodlark were not as obliging and flew away as quickly as they had arrived. A total of three Little Owl were in the area. I saw a male Blue Rock Thrush but unfortunately it flew off before Martin could see it. We decided to make the most of the fading light at Mandria. A Common Ringed Plover was on the beach and nine Great Cormorant headed east offshore. We heard Skylark but with the last of the light we headed back to Paphos. A Barn Owl was sitting next to the greenhouses as we passed by and near the olive groves we could hear at least two Stone Curlew. No doubting the bird of the day which probably caused us to miss several other target species but it had been worth it and we had still caught up with some other great birds and lifers for Martin. Categories: Cyprus Birding Tours Trip Reports | Tags: Asprokremmos Dam, Cyprus birds, Cyprus birdwatching, Cyprus Warbler, Finsch's Wheatear, Spur-winged Lapwing, Wallcreeper | Permalink.